Kendra Hennessy is the CEO and Founder of Mother Like A Boss. Her mission is to equip modern moms with better home management skills. 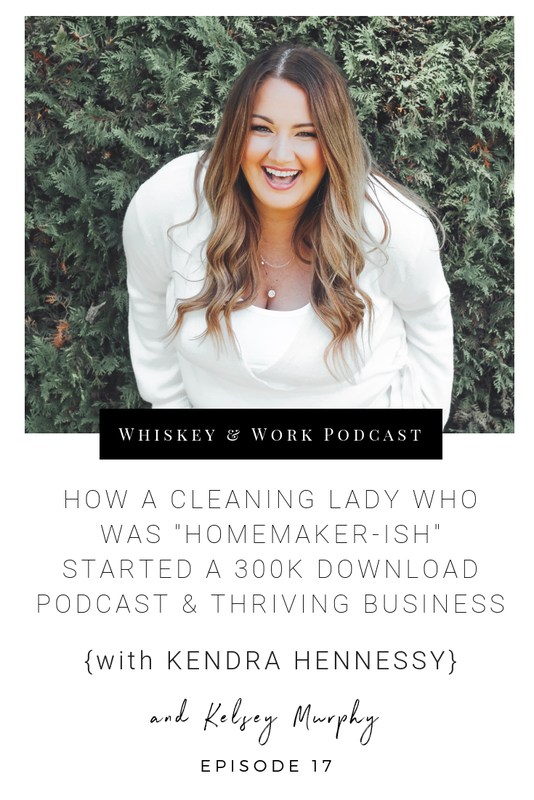 She’s on a mission is to redefine homemaking in the 21st century and make the difficult and tedious parts of running a home smoother through systems, routines and mindset shifts. This badass lady is building her own business, making her own money, doesn’t want to be told what to do and loves to bake cookies on the weekend. We live in a world now where our grandmothers didn’t have the choice and that’s why it may be so hard for us as we sometimes think we are making the wrong choice. When people are searching for things on Pinterest they often get discouraged because the ideas and suggestions they find are just not realistic. They end up scrolling their phone and not actually doing anything. Start with communicating about why you need help and how this can benefit the entire household. You can get a lot more done in 5 minutes than you think you can. If you’re lacking the motivation to do 1 hours’ worth of cleaning, you can rather build up momentum by starting with a chunk of 5-minute tasks. Once you have that down then you can create really great routines and be consistent. Are you now itching to reorganize your pantry and label all your spice bottles? I loved talking to this awesome lady and I hope you all did too!